How exactly do you spin a story about a huge increase in shipments of an Apple product negatively? Let’s find out! Writing for the very nice people and possessed cymbal-banging monkeys over at Business Insider, Isobel Asher Hamilton definitely has that “market share is the most important thing ever” BI house style down pat. Its dominance of what? The thing that Apple has demonstrated that it can do very well without: market share. According to a report from research house Canalys, Apple did have a good second quarter, shipping 3.5 million Apple Watch units globally. That’s a 30% bump on the same period last year. Thirty. Percent. Remember, this is the product that pundits resoundingly declared a “flop” because it didn’t sell as many units as the iPhone right out of the gate. …while shipments are up year on year, Apple’s overall share of the market is down. It now stands at 34%, from 43% last year. This is worrisome because those drops in iPhone market share that Business Insider flailed its arms about for years really killed the company. What’s surprising about this isn’t that Apple is now facing reduced market share. What’s surprising is that the company had such a high market share in the first place. The Apple Watch only works with an iPhone and most people own Android devices. That means that, to date, it was only iPhone owners who were buying smartwatches in any kind of real percentages. Canalys’ analyst Vincent Thielke said this was a sign that Apple’s facing tough competition from the likes of Fitbit and Garmin who were broadening out their offerings to attract different types of customers. Canalys defines the market as “wearable bands” which is fine, but it’s worth pointing out that Fitbit’s wearable band offering starts at just $60 for a device that doesn’t even show you the time. Apple doesn’t compete in that space, not because it can’t but because it doesn’t want to. 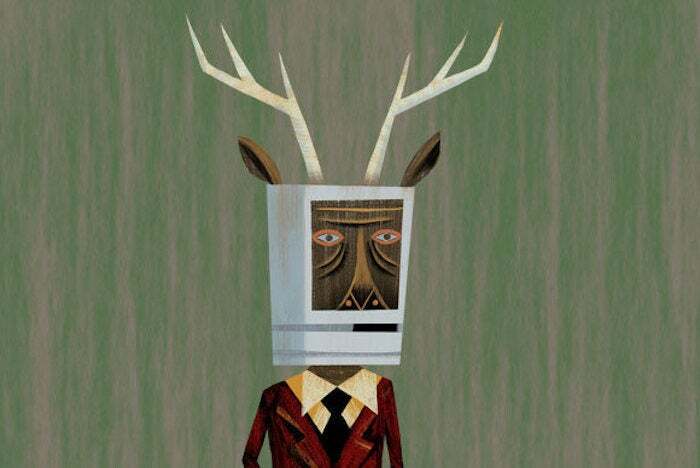 Honestly, if the company made a band that only had the Apple Watch’s ability to ping your iPhone so you can find it, The Macalope thinks it would sell pretty well. Competition from rumored devices is fierce. A lot of people have already payed for these rumored devices with fake money, so Apple needs to get on the invisible stick here. Because, you know, the company needs comfort after increasing Watch sales by 30 percent. …is that the Apple Watch is selling well in a market Apple has generally struggled with: Asia. Well, as long as there was one thing that was good about the report. You know, one thing other than the 30 percent increase in sales.